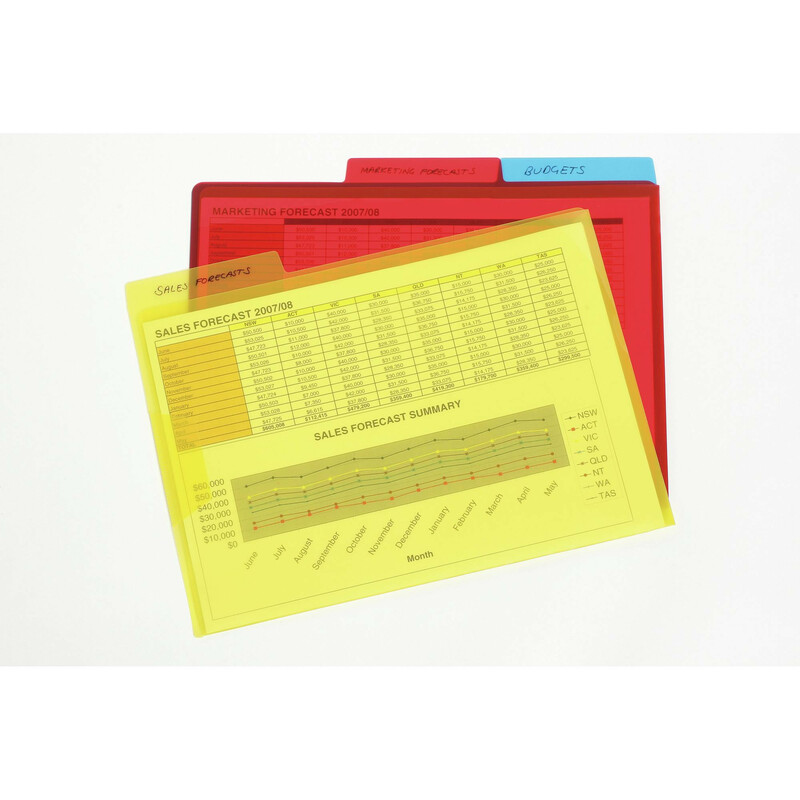 Translucent letter files with write-on tabs for quick identification of contents. Security flap ensures documents do not fall out. Lightweight, making it easy to transport documents and files.